Fri Update 9/30: Galaxy Map. Fri Up 10/7: Part 2 of William Wallace’s Companion Dev Blog. Testing Email Woes. Stephen Reid responds here. To check your status, go to swtor.com/tester. New York Comic Con Oct 13-16. 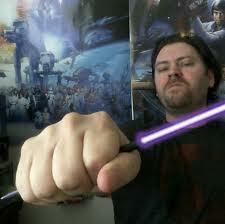 Drew Karpyshyn responds to criticisms of his upcoming novel, Revan, in his personal blog. Gamesindustry.biz interview with the Doctors. Fan Fiction contest. Submit on the official forums Oct. 8-22. SITH OR JEDI: We find out which path we walk in real life with The Test of the Pirated Movie. Great responses on the subject of race in Star Wars in the Comments section and forums. To Dan Nichols, dstupper, and Jerrit for writing positive reviews on iTunes. I completely agree, how this game will have us care about our character and really take time and think about the decisions we make in the game. Sith or Jedi alternative answer – If it’s in theaters you watch bits and pieces to tell if the movie is worth going to. If it’s not in theaters you watch anything you want – you pay for Netflix anyway.